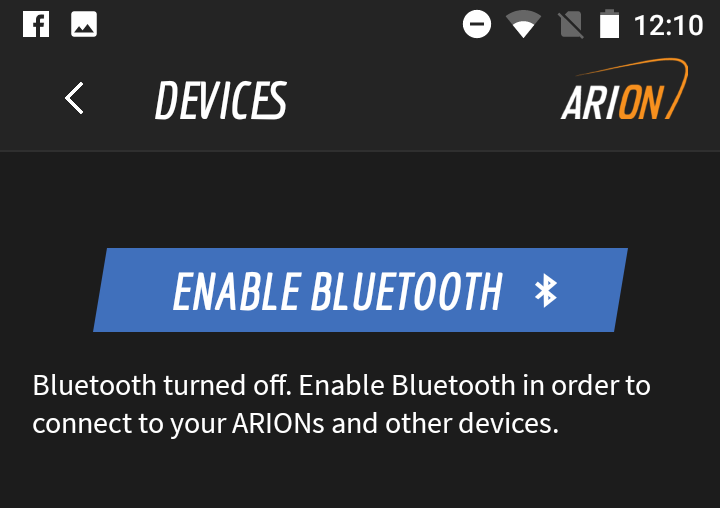 Learn how to pair and connect your ARION wearable to the app. 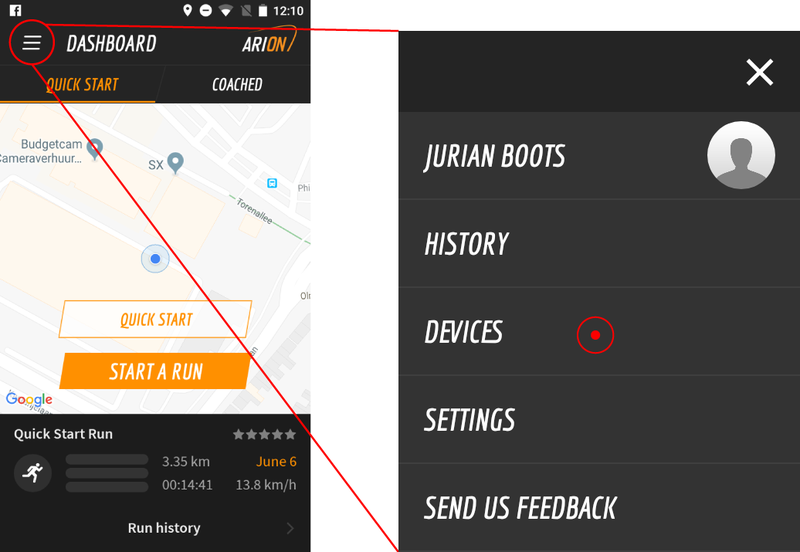 This article will help you to pair and connect the footpods to the ARION app. Either watch the video below (after charging the footpods) or follow the steps underneath. In order to pair the ARION footpods they must hold some charge. Learn how to charge your footpods here. In this example we will first connect the footpods to the smart insoles. To do this, place the ARION footpod vertically over the clip and then twist it clockwise 90 degrees. This will then turn on the pod which you can see by the LED lights, which will turn blue when they are ready to pair. Note 1: One of the two footpods may be blinking when connected to the clip, which is completely normal. This indicates the footpod is looking for a GPS fix, which will be used for our Run Without Your Phone feature (currently in beta). Note 2: The footpods can also be paired directly from the ARION charger. The ARION app is available for both Android and iOS, so head over to either the App store or Google Play and download the app. Open the ARION app and sign up for an account. Open up the ARION app and first create an account. Hit the orange 'Get started' button and follow the steps. Note: Don't forget to confirm your email at the end of this process. After signing up for an account, open up the menu using the menu button in the top left corner and tap 'Devices' to open up the Devices screen. If you have Bluetooth disabled, you will see a blue button asking you to enable it. Tapping this blue button will turn on the Bluetooth on your phone. You need this in order to pair the footpods to the phone. Tap 'SCAN' to scan for the footpods. The app should now find the footpods. 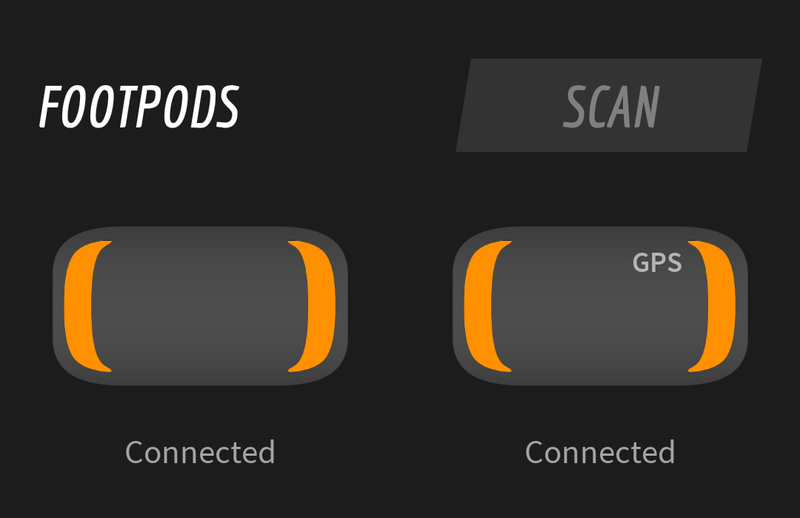 If one of the footpods doesn't show up, make sure the footpod is properly connected to the insole and that it is in Bluetooth range. In the Devices screen, tap on the footpod graphics to pair the ARION footpods to the phone. Within a few seconds you should see that the footpods are connecting. This you can see by the status 'connected' underneath the footpod, as well as by the orange LEDs in this screen which indicate the battery level of the footpod. That's it! All that remains now is to add your running shoes to your Shoe Closet and you'll be ready to start running with ARION.